This exhibition explores slavery and enslaved people in America through the lens of Jefferson’s Monticello plantation. 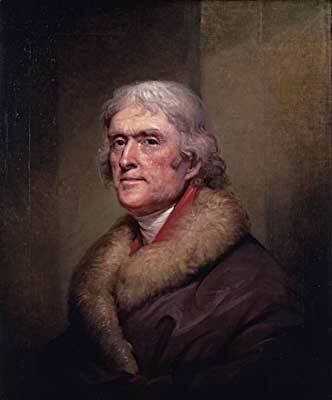 Thomas Jefferson drafted the Declaration of Independence and called slavery an—abominable crime,” yet he was a lifelong slaveholder. In an age inspired by the Declaration of Independence, slavery was pervasive—28% of the American population was enslaved in 1790. The exhibition provides a glimpse into the lives of six slave families—the Hemings, the Gillettes, the Herns, the Fossetts, the Grangers and the Hubbard brothers—living at Monticello and reveals how the paradox of slavery in Jefferson’s world is relevant for generations beyond Jefferson’s lifetime. Museum objects, works of art, documents, and artifacts found through archaeological excavations at Monticello provide a look at enslaved people as individuals—with names, deep family and marital connections, values, achievements, religious faith, a thirst for literacy and education, and tenacity in the pursuit of freedom. The family stories are brought to the present via Monticello’s Getting Word oral history project, which interviewed 170 descendants of those who lived in slavery on Jefferson’s plantation. A related garden is on view on the southwest Mall terrace. This exhibition is organized by the National Museum of African American History and Culture and presented in partnership with the Thomas Jefferson Foundation at Monticello.